Whether you have played a course 20+ times a year or looking to play the course for the first time, insights from an insider can help enhance your golf experience. 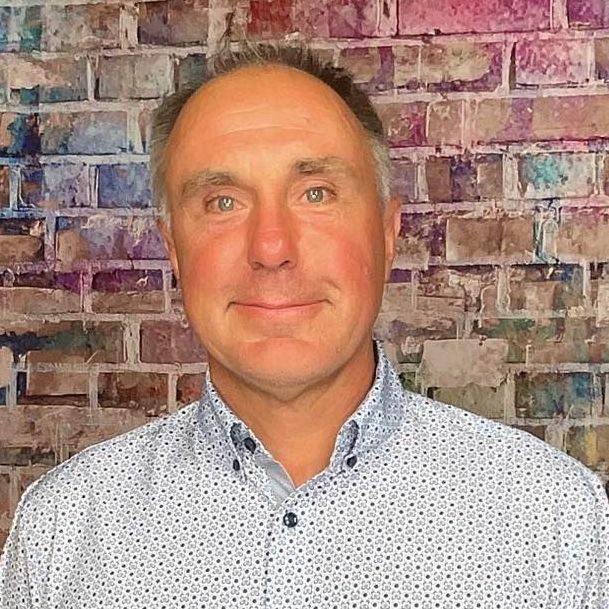 Below is an interview with Eric Smith who shares some valuable tidbits about the course, memorable holes and must eats and treats at the 19th. 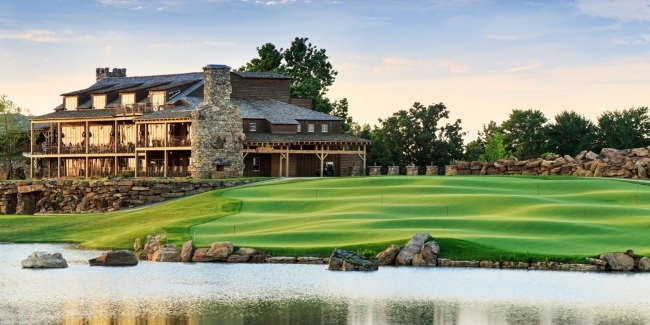 Give Our Readers An Overview of the Golf Course/Property Top of the Rock is the only Jack Nicklaus Signature Design 9-Hole, Par 3 course and the first Jack Nicklaus Signature course in the state of Missouri. Johnny Morris, along with Jack Nicklaus, Tom Watson, and Arnold Palmer has spent the past seven and a half years creating Top of the Rock, one of the most amazing golf experience ever developed. Top of the Rock Golf Course, known as the first-ever Par-3 course to be included in a professional championship, features nature and golf at its finest. 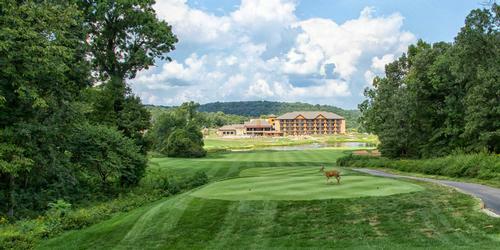 Perched high above Table Rock Lake, the peaceful waterfalls, wandering creeks, bass filled ponds and pristine lakes of Top of the Rock complete a true celebration of nature, the Ozarks and the game of golf. 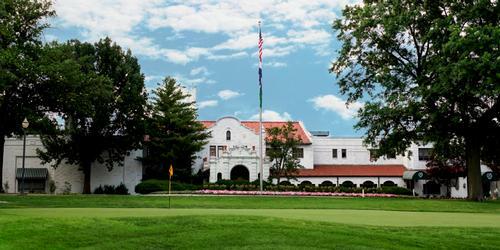 The experience includes Top of the Rock, a Jack Nicklaus Signature Course, an Arnold Palmer-designed Practice Facility, Tom Watson's one-acre putting complex called the "Himalayas," and Arnie's Barn, a magnificent 150 year old barn re-located from Arnold Palmer's backyard in Latrobe, Penn., complete with historic photos and memorabilia from Palmer's career achievements - and houses the Top of the Rock pro shop. The golf course ranges from 1,420 yards from the back tees to 945 yards from the forward tees. Tees and greens are lush Bentgrass surrounded by Bluegrass roughs. The new Arnold Palmer Driving Range is a breathtaking practice facility featuring 16 target greens, recessed lighting and three teeing decks  one grass tee and two synthetic tees for an all-weather experience. 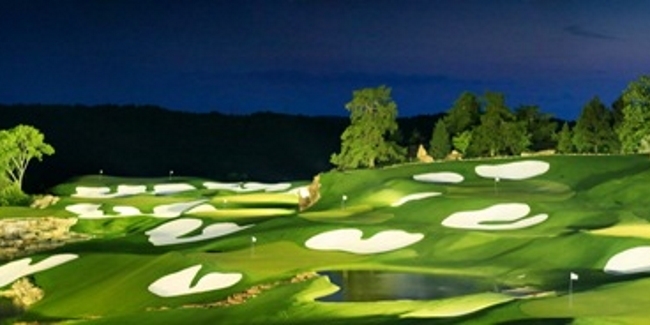 Guests can practice at night with in ground lighting. Like everything else at Top of the Rock, nature played a key role in development of the practice facility. From an environmental standpoint, the synthetic turf is easier on the delicate natural balance at Top of the Rock, with no need to water, mow or use chemicals on the practice course. Golfers have nicknamed the signature green at the practice facility the "Cliffhanger Green" for good reason. It is perched on the side of the bluff with a cascading waterfall. This green captures the heart of all golfers who cross Top of the Rock. After dark, the Arnold Palmer Driving Range takes on a whole new light! Sixteen fully lit target greens and three tee decks with recessed lighting allow for a one-of-a-kind golf experience after hours. The Tom Watson "Himalayan" Putting Green is a one-acre green designed personally by Tom Watson. The putting course, which has an elevation change of 20-feet from top to bottom, was inspired by the famed Himalayas putting course at St. Andrews in Scotland and features putts up to 200 feet in length. I could go on and on here but it is just such a unique experience. You do not see Championship caliber Par 3 courses very often, let alone one that hosts an annual PGA Tour event. When you play Top of the Rock you also get to experience the Lost Canyon Nature Trail & Cave Tour. This is an unforgettable two-and-a-half mile ride in an electric cart where you see Waterfalls, natural rock formations and covered bridges. There is not another course or experience like it in the world in my opinion, which makes it a must play course. The course is just so beautiful that you will have plenty of pictures and memories to take home and show off to your friends and family! What Tips or Local Knowledge Would You Provide To Help Them Score Better At Your Course? Pay attention to the wind and adjust your club selection accordingly. Since the course sits up high above to the east of Table Rock Lake, if the wind is blowing it will definitely make the course play tougher. 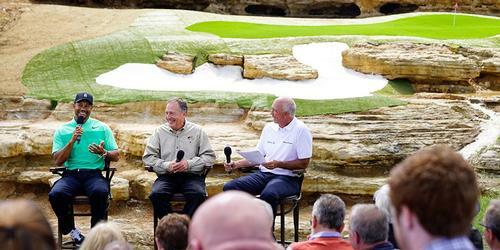 Hosting the first ever PGA Tour event on a Par 3 course, not to mention it is only 9 holes. Yahoo Travel recently rated Top of the Rock #4 for the Top 10 courses for dad. I ask everyone who comes in after their round what their favorite hole is and I get a different answer from everyone. I think it is safe to say that every hole at Top of the Rock is getting photographed(multiple times). #9 is very impressive especially if you are playing it as the sun is setting! 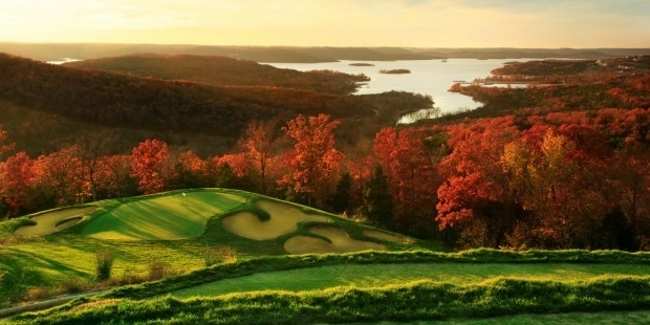 It plays straight downhill overlooking Table Rock Lake, Unbelievable view! It is 114 yards from the very back tee and getting a good picture is almost more important than hitting a good shot. It has 8 possible tee box locations and there is an amazing rock tunnel you walk through to get to the very back tee. Advice: Take your normal club and hit a nice solid 3/4 shot, don't go long. Their is honestly so many options, from Arnie's Barn, Osage, Buffalo Bar, & the All American Wine Cellar you can't go wrong, they are all fantastic.